As Britain looks towards the first major trial of driverless trucks later this year, Aggregate Industries has stated that this important technology could go a long way in bridging the current driver deficit – while stating that the need for truck drivers remains conclusive. 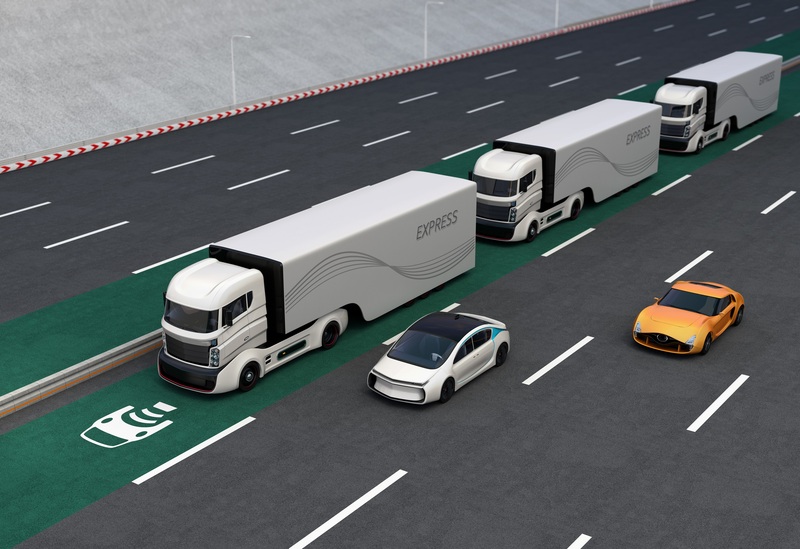 Last summer, the Government announced plans to pilot convoys of autonomous trucks on major UK roads by the end of this year, as part of an £8.1 million scheme to test the feasibility of truck ‘platooning’. The idea is that this approach will benefit both businesses and motorists, helping to reduce fuel bills, carbon emissions and congestion on the roads. For many, however, concerns lie in whether the evolution of self-driving trucks could eventually negate the need for professional truck drivers – a notion which Aggregate Industries has been quick to dismiss. Ben Young, Head of Road Logistics at Aggregate Industries, comments: “The modern transport world is a complex one. As the online e-commerce culture of ‘I want it now’ has quickly gravitated into the commercial domain, we are seeing demand on the industry to deliver more at a much quicker pace continue to escalate. Yet, at the same time, we are facing a driver deficit which, if left unaddressed, could threaten the future of our sector. According to the latest figures by the Road Haulage Association (RHA), the UK haulage industry is currently facing a shortage of between 45k and 50k HGV drivers.1 A separate study estimates that British hauliers currently rely on about 60,000 international drivers to keep their fleets on the road2 – a number which is fast declining as an increasing number of EU drivers head home due to poor post-Brexit exchange rates. Ben adds: “Clearly then, our industry is at a tipping point and we cannot afford to disregard the opportunity autonomous vehicles may bring. That is not to say, however, that technology can ever replace the professional truck driver and a personal approach, particularly in highly people-centric sectors such as ours, which are built on people and relationships. Rather, self-driving trucks should be viewed as a supplement to the millions of skilled, professional drivers we have in the UK as we face these challenging times head on.